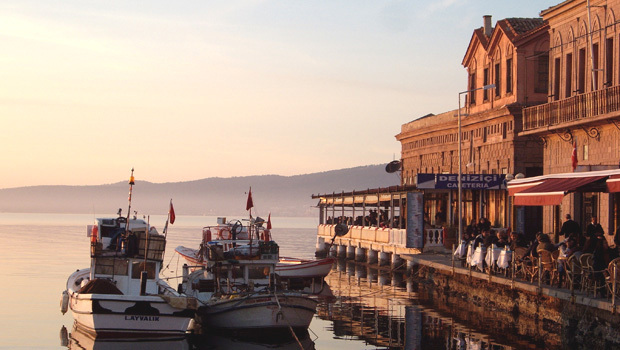 Ayvalık is a popular North Aegean seaside resort for local people, with ferries to the Greek island of Lesvos. Dining, relaxing, swimming and boating are the things to do here in summer. The ruins of three important ancient cities are within a short driving distance away from Ayvalık: Assos and Troy to the north and Pergamon to the east. Made for the independent traveller, you’ll tour favourite destinations, sites you’ve longed to see and enjoy some time to roam in between. Your journey unfolds seamlessly because Fairy Chimneys Travel arranges all private tours, hotel bookings and airport transfers. Plus we’ll share our local secrets so you can eat the creamiest yoghurt or witness the Gallipoli dawn service from its best vantage point.